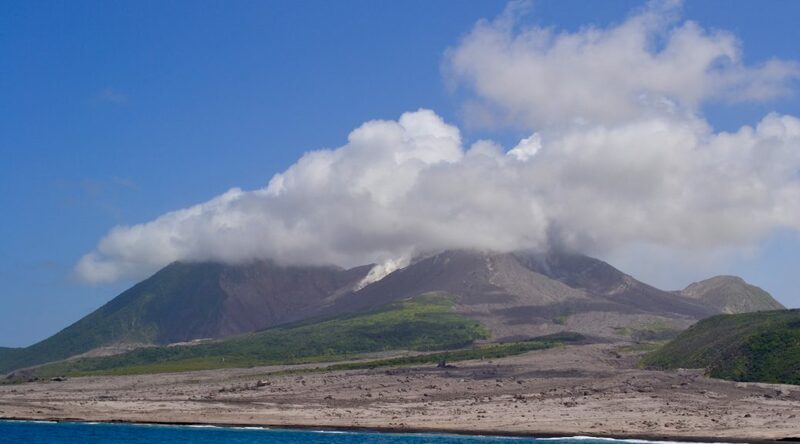 The Survey and Landscape Archaeology on Montserrat (SLAM) project was established at Brown University in 2009 by co-directors Dr. John F. Cherry and Dr. Krysta Ryzewski in partnership with the Montserrat National Trust. Montserrat is a small (102 sq km) island and a British Overseas Territory in the Caribbean Lesser Antilles. The island’s human history spans over 4,000 years. Survey hike in Soldier Ghaut. Between 2010 and 2013 the first phase of the SLAM project focused on identifying and documenting all extant archaeological sites and features in the northern half of the island. This region was subjected to rapid change as a result of development and population relocation during the Soufrière Hills volcanic eruptions. Our pedestrian surveys and remote sensing methods doubled the number of known archaeological sites on the island. We located 55 previously unrecorded archaeological sites from all time periods (e.g. complexes of buildings, settlements) and over 400 individual archaeological features (e.g. isolated field walls, artifact scatters, terraces). We also conducted rescue excavations at prehistoric and historic sites, including Glendon Hospital, Rocklands, and Gun Hill. Gun Hill, Carrs Bay, Montserrat (18th century). Demolished in 2013. Beginning in 2014, we selected a handful of sites discovered during our earlier surveys as the basis for our focus on the island’s cultural history between 1000-1750 AD. 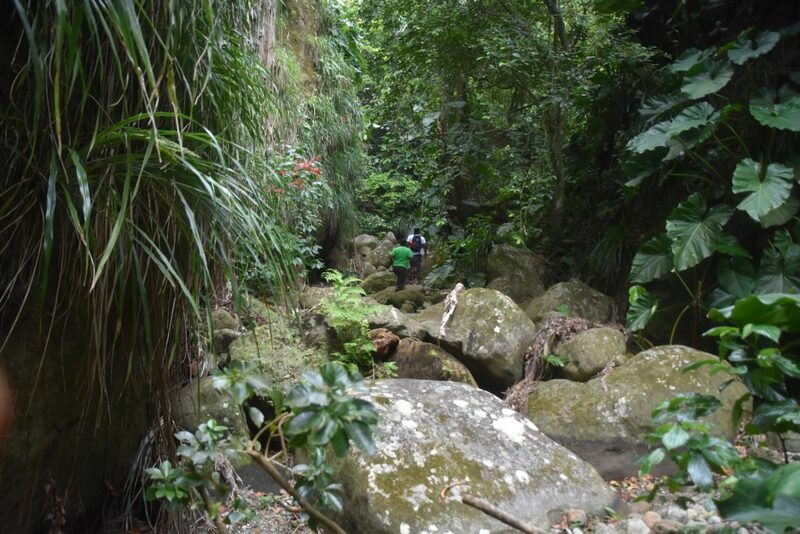 This second phase of SLAM project research uses archaeological evidence to understand Montserrat’s environment and its inhabitants on both sides of the “Columbian Divide” – in the periods before, during and after European settlement in 1632. During this long contact period the island’s Amerindian populations were gradually replaced by European colonists and African enslaved laborers, who introduced sugar cultivation to the island. To understand more about these peoples’ relationships with the island, we’ve examined some of the higher-elevation sites in the Centre Hills jungle using LiDAR analysis (Locust Valley, Fairy Walk), and conducted excavations at sites in the Silver and Centre Hills (e.g. Thatch Valley, Indian Creek, Valentine Ghaut,Upper Blakes, Potato Hill). 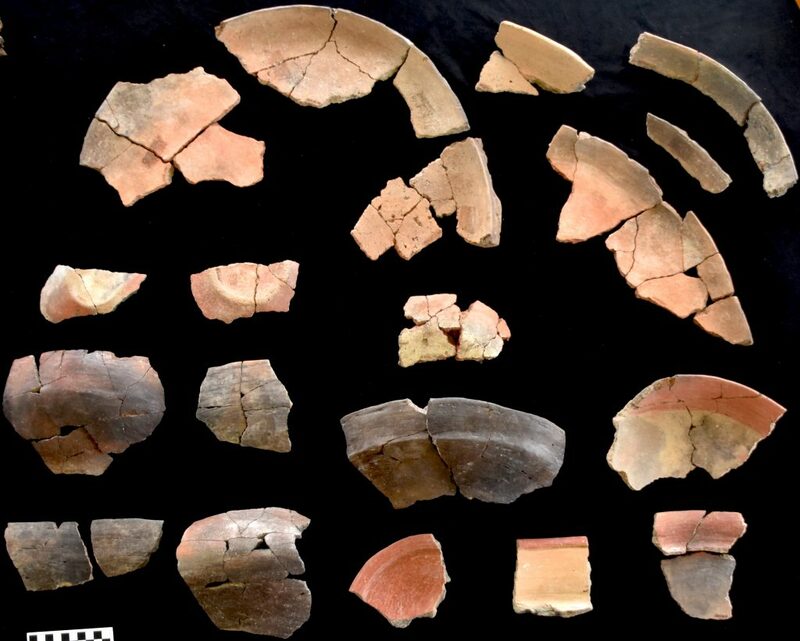 Griddles and pottery vessels excavated from Valentine Ghaut, 1000AD. To date, the SLAM project has conducted 11 seasons of fieldwork, research, and outreach with the assistance of colleagues and students from Brown, Wayne State University, and other schools, and a number of locally-based Montserratian colleagues and volunteers. SLAM’s findings are accessible in over 40 publications and reports, They have been showcased in exhibits on Montserrat and internationally, and they can be viewed in our 3D virtual gallery. All of the artifacts recovered during our surveys and excavations remain on-island in the collections of the Montserrat National Trust. 3D model of Elberton Estate’s windmil tower (Beau Kromberg, 2017). Our research has been made possible through collaborations with the Montserrat National Trust and grants from the National Endowment for the Humanities (#RZ51674-14), National Science Foundation (#1321443), and National Geographic Society (#9610-14 & #W86-10). 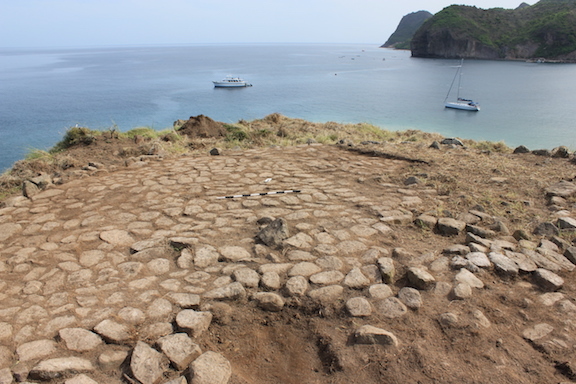 Please visit our Facebook page – Archaeology on Montserrat – which also features new research on the island conducted by former SLAM project participants. Our book, An Archaeological History of Montserrat, West Indies, is currently in production.